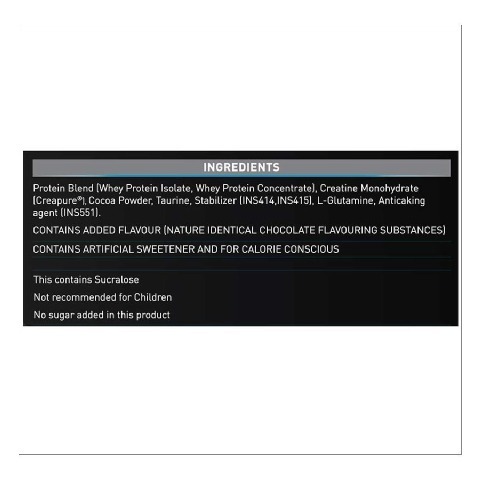 MuscleBlaze Whey Protein Pro 4.4 lb Chocolate is a scientifically engineered formula for professional athletes. 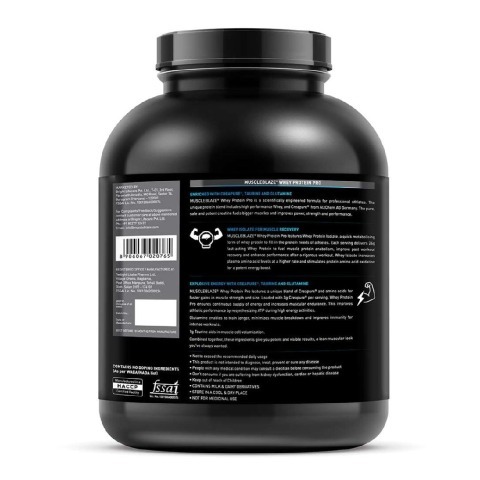 The unique protein blend includes whey hydrolysates, the quickest performing whey and Creapure®, the purest (99.99 percent pure Creatine), safest and the most potent creatine available, which is instrumental in giving a big boost in the muscle size, power, strength and performance. 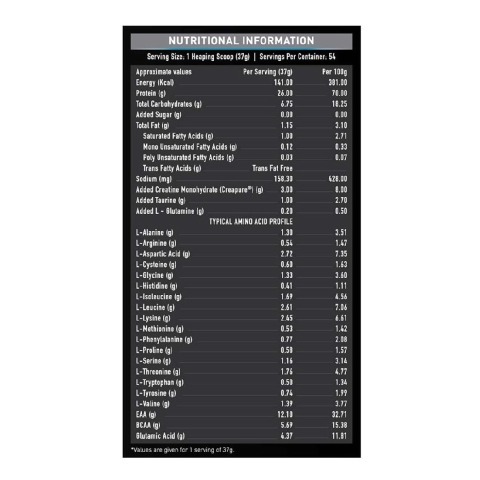 Athletes have higher protein needs and whey hydrolysates quickly metabolise to fill in their increased protein needs. 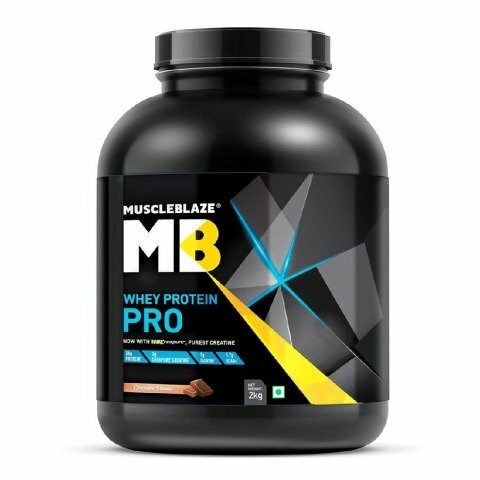 Each serving of MuscleBlaze Whey Protein Pro delivers 26g fast-acting whey protein to help fuel muscle protein synthesis, improve post workout recovery and enhance performance after a rigorous workout. Fast-digesting whey hydrolysates increase plasma amino acid levels at a higher rate and stimulate protein amino acid oxidation for a potent energy boost. 3g Creapure® in each serving helps build endurance for high energy sports and rapidly resynthesizes ATPs, energy currency in the human body to increase muscular endurance for a long duration, which is greatly needed by athletes. 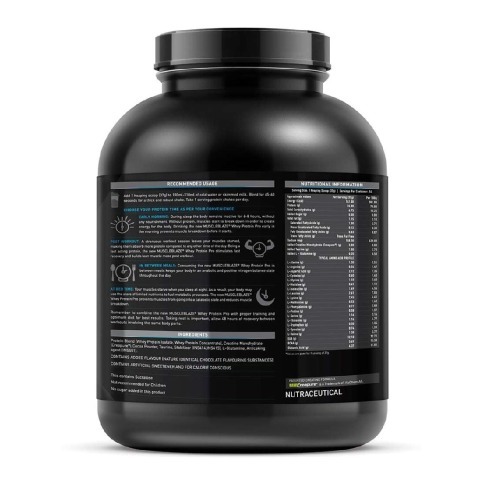 Glutamine in MuscleBlaze Whey Protein Pro with Creapure quickens recovery that allows you to train longer and achieve greater exercise intensity.By minimising muscle breakdown and improving immunity, Glutamine helps provide energy for intense workouts. 1g Taurine aids in muscle cell volumization. 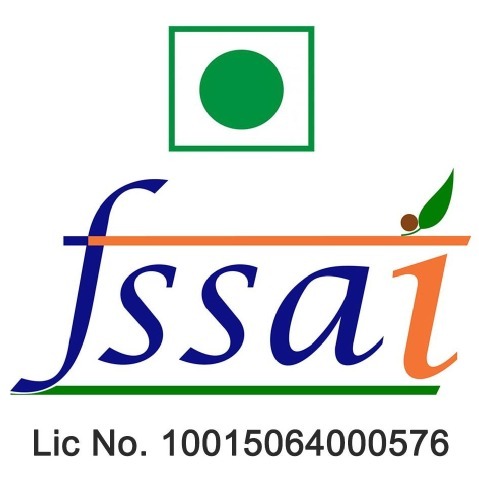 Whey Protein Blend (Whey Protein Isolate, Whey Protein Concentrate and Whey Hydrolysate), Creatine Monohydrate (Creapure), Cocoa Powder, Taurine, Gum Acacia, Xanthan Gum, Sodium Chloride, L-Glutamine, Acesulphame Potassium and Sucralose. Add 1 heaping scoop (37g) to 190-210 ml of cold water or skimmed milk. Blend for 40-60 seconds for a thick and robust shake. Take 1-2 protein shakes per day. Early Morning: Regular intake of MuscleBlaze Whey Protein Pro with Creapure 4.4 lb Chocolate early in the morning helps to prevent muscle breakdown. Post Workout: Being a fast acting protein form, MuscleBlaze Whey Protein Pro aids to stimulate recovery and builds lean muscle mass post workout. In Between Meals: MuscleBlaze Whey Protein Pro in between meals keeps your body in anabolic form throughout the day. At Bed Time: Consuming MuscleBlaze Whey Protein Pro before bed helps to prevent muscles from going into the catabolic stage and reduces muscle breakdown. Remember to take MuscleBlaze Whey Protein Pro with proper training and optimum diet for best results. 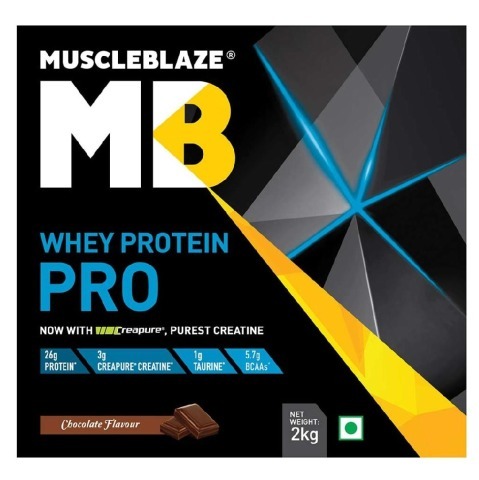 Is MuscleBlaze Whey Protein Pro? MuscleBlaze Whey Protein Pro is a scientifically engineered formula for professional athletes. The unique protein blend includes whey hydrolysates, the quickest performing whey and Creapure®, the safest and the most potent creatine available to give a big boost in the muscle size, power, strength and performance. Added 1g Taurine aids in muscle cell volumisation. How Creapure ® is different from other creatine? For competitive athletes and fitness fanatics performance matters! Precisely, this is the reason why dedicated athletes are moving to Creapure ® to excel. Creapure ® is 99.99 percent pure creatine, which makes it the best creatine available for fitness enthusiasts and athletes. Manufactured by AlzChem AG in Germany, Creapure ® is the purest form of creatine available. Following a stricter manufacturing process, AlzChem ensures Creapure® is free from unnecessary by-products including Creatinine (CRN), Dicyandiamide (DCD), Dihydrotriazine (DHT) and Thiourea. How to supplement Whey Protein Pro? Add 1 heaping scoop (33g) to 190ml-210ml of cold water or skimmed milk. Blend for 45-60 seconds for a thick and creamy shake. Take 1-2 protein shakes per day to build lean muscle mass. EARLY MORNING: In the morning, after overnight fast, your body is in a glycogen depleted state. Glycogen is the longer chain version of glucose and is the preferred fuel source for your body to supply energy for metabolic and other activities. As a result, your body begins to attack the hard-earned muscle tissues to draw energy from amino acids. This process is called catabolism and a shake of Whey Protein Pro immediately after waking up provides necessary nutrients and offsets catabolism. POST WORKOUT: A strenuous workout session leaves your muscles starved, making them absorb more protein compared to any other time of the day. Being a fast acting protein form, MuscleBlaze Whey Protein Pro stimulates fast recovery and builds lean muscle mass post workout. IN BETWEEN MEALS: Consuming MuscleBlaze Whey Protein Pro in between meals keeps your body in anabolic and positive nitrogen balance state throughout the day. AT BED TIME: Your muscles starve when you sleep at night. 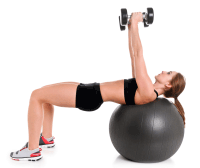 As a result, your body may breakdown muscles to fuel metabolic processes. MuscleBlaze Whey Protein Pro as a nighttime shake prevents muscles from going into catabolic stage and reduces muscle breakdown. 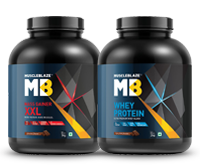 How professional athletes get to benefit with MuscleBlaze Whey Protein Pro? Each serving of MuscleBlaze Whey Protein Pro delivers 26g of fast-acting whey protein to fuel muscle protein anabolism, improve post workout recovery and enhance performance after a rigorous workout. Fast-digesting whey hydrolysates increase plasma amino acid levels at a higher rate and stimulate protein amino acid oxidation for a potent energy boost. 3g Creapure® in each serving provides sustained energy for high energy sports and rapidly resynthesizes ATPs, energy currency in the human body to increase muscular endurance for long duration, much needed by athletes. 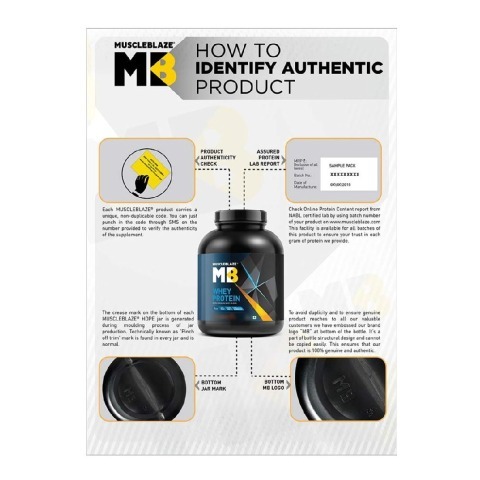 1g Taurine aids in muscle cell volumization.Combined together, these ingredients give you potent and visible results, a lean muscular look you’ve always wanted to attain.